During the night the weather had changed and on waking, the rain was once more falling . 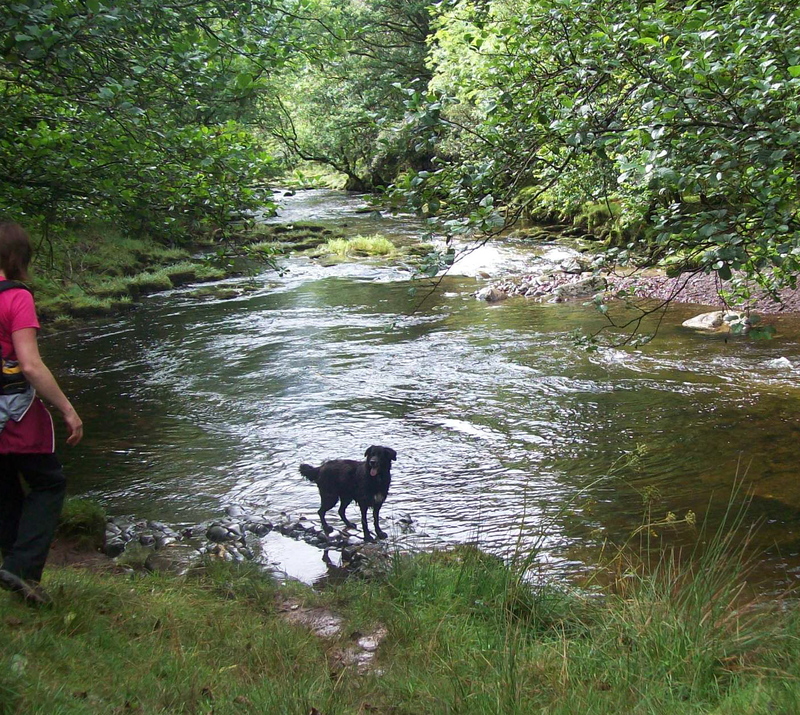 It was clearly not a day for the tops and it was decided to have a shorter walk and look at the Waterfalls of the Afon Mellte and Afon Hepste. 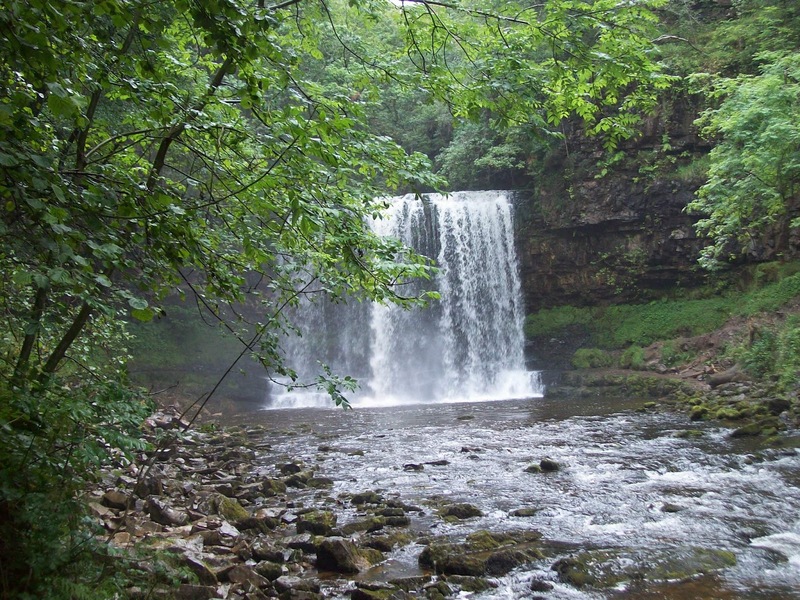 We started from the Ystradfellte end and visited a number of the falls with the jewel being Sgwd Yr Eira (The Snow Falls). 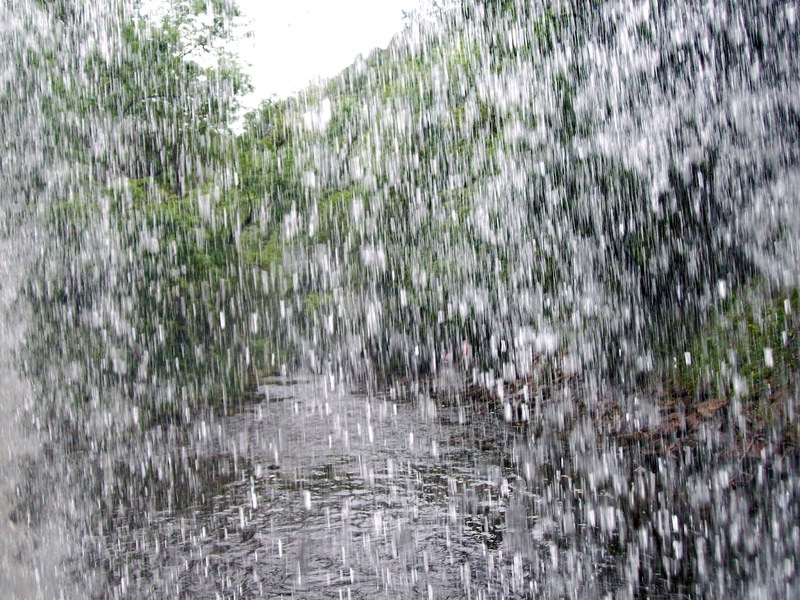 We were able to walk behind the fall and look out through the falling water. 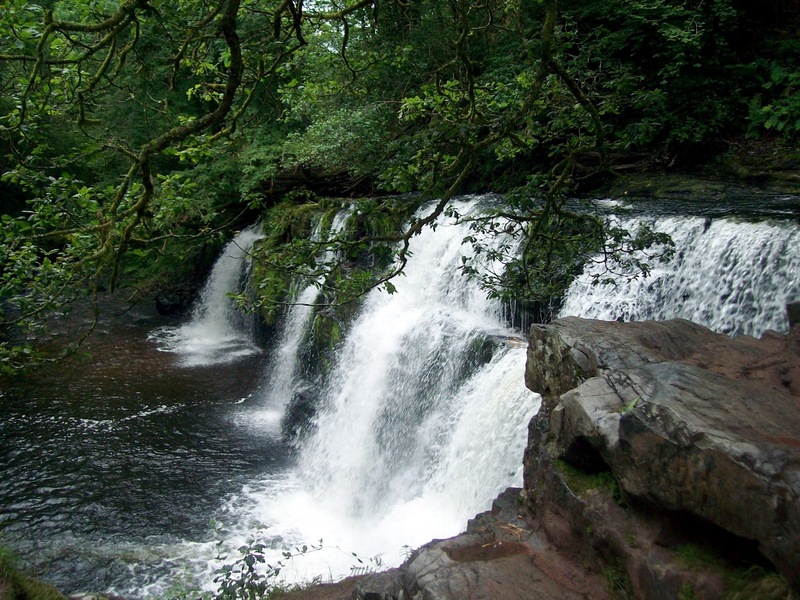 This is a stunning area one which I have visited on a number of occasions. Care is needed as the ground is steep, muddy and the stones wet. 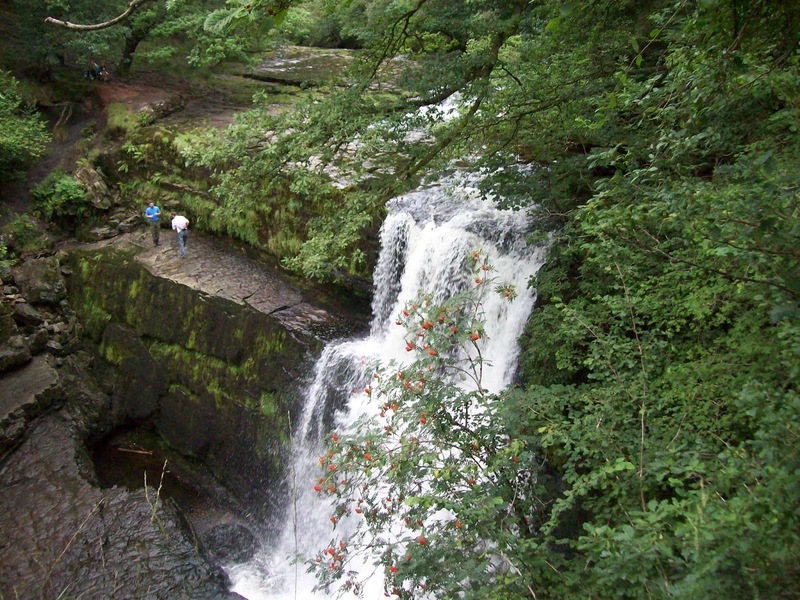 We did see an accident waiting to happen when one lad had decided to look closer at a fall and was clearly not wearing appropriate shoes and did slip. Fortunately he recovered and walked away. One of our members is a member of the local Mountain Rescue group and told us that at least once a month they have to rescue people who have fallen and had lower limb problems. 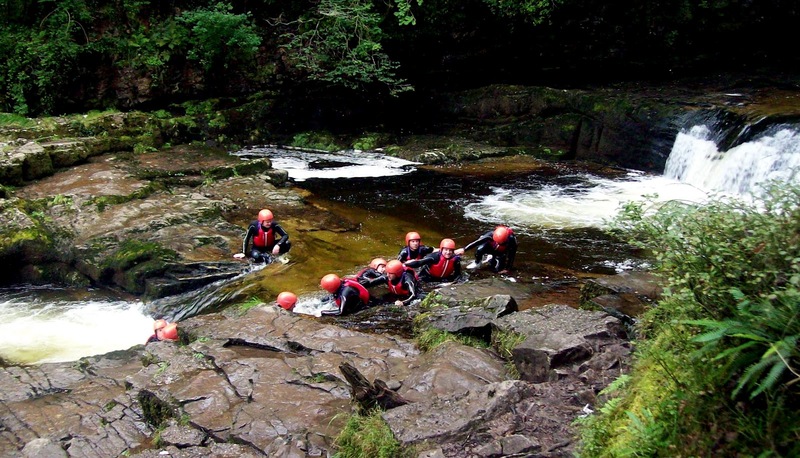 We did come across a group of people clearly (and safely) enjoying gorge walking, which looked good fun. An enjoyable weekend and hopefully there will be more.